Jumping the velvet rope in a Miami Beach nightclub is one thing – viewing Miami Beach from the luxurious penthouse of the Hilton-Bentley South Beach is another. Many travelers vacation south for the winter to Miami Beach, home to numerous bars, lounges, hottest venues and vibrant night clubs, but many of the best luxurious are a bit more secluded than those decked out with neon signs. 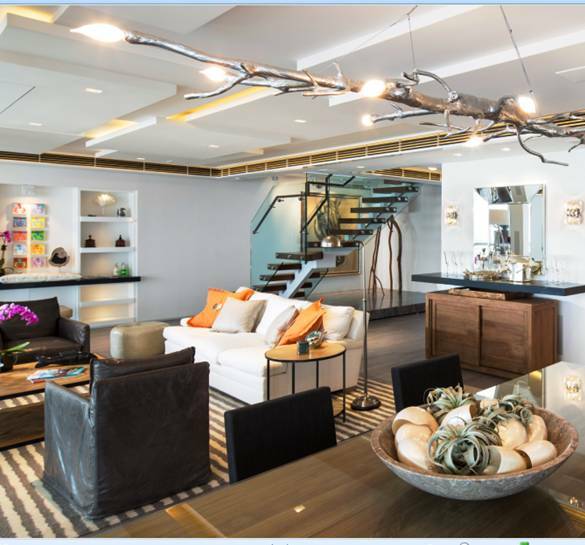 The Hilton-Bentley penthouse is definitely one of Miami Beach’s best-kept secrets; yet, it is located in the center of it all. A spiral staircase leads you to one of the most secluded gems on Miami Beach. The one of a kind panoramic view is by far one of the best features of the Penthouse Presidential Suite in the Hilton Bentley. Sink into the view in the private pool and whirl pool tub located on the rooftop. 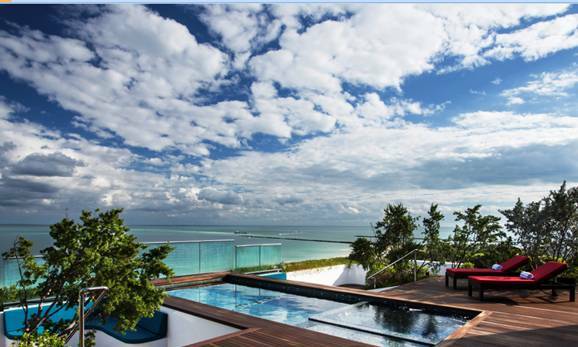 With panoramic ocean view throughout the entire dual-leveled presidential suite the luxury doesn’t stop at the terrace – the 3,500 square-foot space centered by Miami Beach’s hottest venues offers the ultimate South Beach experience. 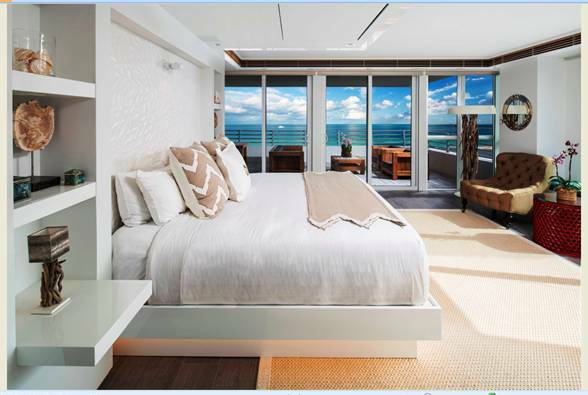 Coveted by the most well-known celebrities, politicians, and athletes, each of the 2 king bedroom suites features marble bathrooms with whirlpool tubs, walk-in closets and private oceanfront terraces. A full kitchen, dining and living room, along with an extra half bath, will be having you calling this luxurious suite “home” as soon as picking up your room key from the Hilton’s courteous and attentive staff. The oceanfront presidential suite makes the perfect start and finish to a weekend getaway. Whether the suite, located right above the beach, is the fulcrum of your vacation or just a place to rest after a day full of the activities Miami has to offer – the presidential suite offers an opportunity you do not want to miss. You can learn more about the Hilton Bentley in Miami Beach by visiting their site online. Obviously this Hilton suite is a marvelous place to stay. I like the Hilton chain, but could, never afford the presidential suite.